The hardest thing about buying a used fiberglass sailboat is keeping your head straight. With a new boat you (in theory, at least) get what you pay for, but entering the used boat market can be a bit like going through Alice’s looking glass. Is a shiny new 35-foot performance cruiser beyond your pay grade? 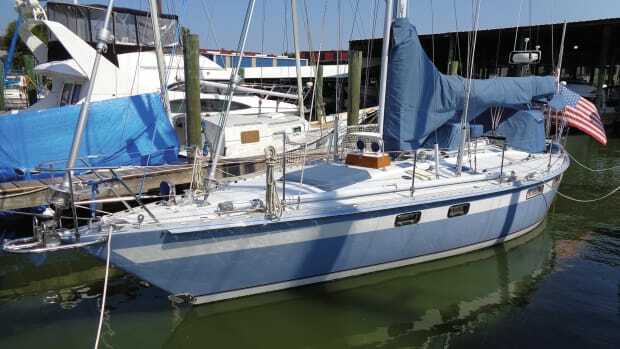 Not to worry, there’s a fantastic looking used 36-footer with lots of gear for sale on Craigslist for less than the price of a car. Of course, the reality is rarely that simple. Systems and mechanical fasteners have a way of breaking down over the years, and even fiberglass has its limitations. A good way to keep your priorities straight is to think about the boat’s future resale value. Someday you’ll probably want to sell the same boat you are looking to buy. If that boat is a piece of junk, it will not only be less fun to sail, it could become an unsaleable albatross. It’s also important to bring in professional help, in the form of a reputable marine surveyor and, possibly, a buyer’s broker. Many of the “bargains” out there are not bargains at all once you factor in the costs of getting them sailing and keeping them in good shape. Identifying and accurately factoring in these costs before you start writing checks will increase the chance that you and your boat will have a safe, happy life together. To spot a “bargain,” or if not a bargain then at least a boat worth owning, take the asking price, add on how much it will cost to ensure the boat is safe and functional, and see how that figure compares to similar boats on the marketplace. If it is substantially higher, you need to talk the current owner down or look for another boat. Calculating the true cost of a bargain takes time. Start by learning as much as possible about boat maintenance. Read as many books on the subject as you can. 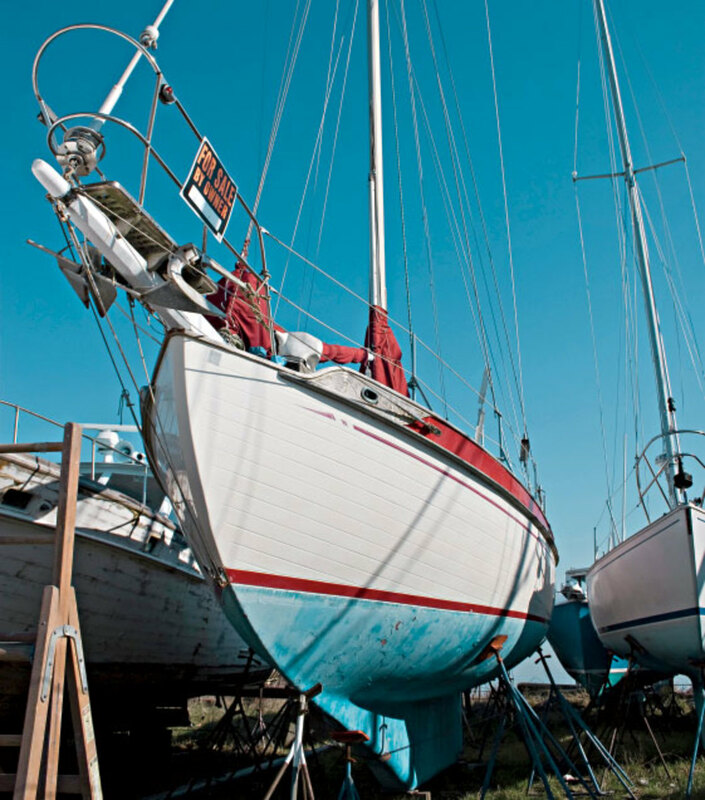 Standouts in this genre include Don Casey’s Complete Illustrated Sailboat Maintenance Manual, by SAIL contributing editor Don Casey, and This Old Boat, also by Casey. Another good resource is the sailboats section of the NADA Guides website (nadaguides.com) for pricing information. Get in the habit of combing through the various used-boats listings on the internet to get an idea of what’s out there, and for how much. [advertisement]After doing your homework, inspect as many old boats as you can, ideally multiple examples of the boat you have in mind. At the very least, spend some time wandering around boatyards. The more boats you see, the better idea you’ll have of what you’re looking at. 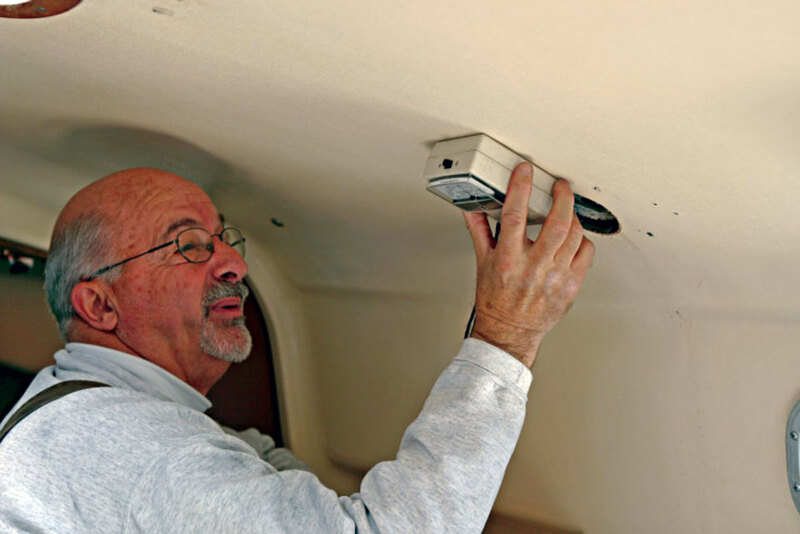 When inspecting boats, bring a flashlight for looking into various nooks and crannies. Take notes, too. Look for both major problems that require lots of time and money to fix and smaller problems that might not be a deal-breakers but may cause a substantial headache (see sidebars). Don’t forget that even if you’re willing to live with a particular problem, potential buyers down the road might not be. Don’t make the mistake of underestimating the cost of fixing the “little things” wrong with a boat; same goes for older gear that is still “functioning” but needs to be replaced. While a few minor repairs might not seem daunting, a whole laundry list can be both time-consuming and costly. A new mainsail cover, for example, will cost $30 per foot of boom, while a new dodger for a 30-footer will run you $1,900, minimum. To have the yard install a new head and holding tank will likely cost $2,500, while replacing something as “simple” as the foot pump on the galley sink will be around $500. A complete set of cushions down below for a 30-footer will cost you $4,000 or so. If the boat is already priced so low that adding in these costs still makes it a bargain, great. Otherwise, walk away if the seller isn’t prepared to negotiate. a professional surveyor will bring a wealth of experience to the problem.Checking for moisture in the hull laminate here. DO YOU NEED A PROFESSIONAL SURVEY? If you’re handy and are only looking to buy a sailing dinghy or centerboarder costing $2,000 or less, then by all means try to go it alone. But if you’re in the market for anything bigger or costlier, you should have professional help when inspecting a boat. As a purely practical matter, a professional survey is required if you need financing and/or insurance for the boat. Equally important, a professional marine surveyor can provide an objective view of the boat you have fallen in love with. It’s not the job of a surveyor to tell you what to do or how to proceed. However, a good surveyor will make you fully aware of what you’re getting into. As part of the survey, you will also receive an estimate of the boat’s true market value, which is a useful negotiating tool. “Every owner is going to tell you their boat is perfect and well maintained, but that’s just not the case. If you don’t do surveys for a living you just don’t know what to look for,” says Marian Lambrecht, who operates Schuss Marine Services on Lake Michigan. Norm LeBlanc, a surveyor based in Danvers, Massachusetts, agrees, noting that a marine surveyor provides an effective reality check for buyers caught up in the excitement of a possible purchase. “The buyer is wearing rose-colored glasses. I’m the one who doesn’t have them on,” he says. Surveys typically cost around $15-$20 per foot of LOA. There may be additional fees for things like travel. Figure to spend somewhere around $600 for a survey of a typical 35-footer. This may sound like a lot, but it pales in comparison to the cost of an unexpected major repair job. To find a good surveyor, ask around. If a friend has had a good experience with a particular surveyor, give him or her a call. Don’t be afraid to ask for references. A good surveyor with nothing to hide will be happy to oblige. 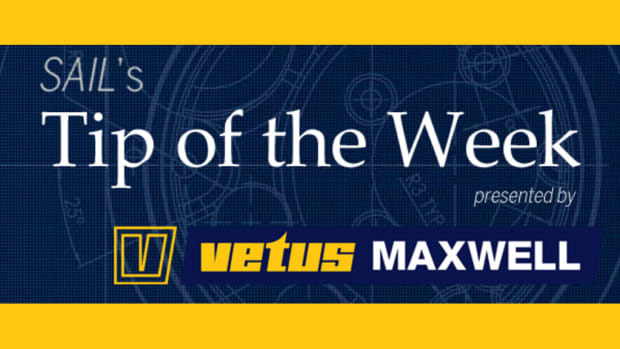 The Society of Accredited Marine Surveyors (SAMS) and the National Association of Marine Surveyors (NAMS) both offer marine surveyor accreditation programs in an effort to separate the wheat from the chaff. (Lambrecht and LeBlanc, are both accredited.) However, surveyors are not required by law to be accredited. Working with an accredited surveyor makes a lot of sense, but a non-accredited surveyor with a sterling reputation may be just as good. 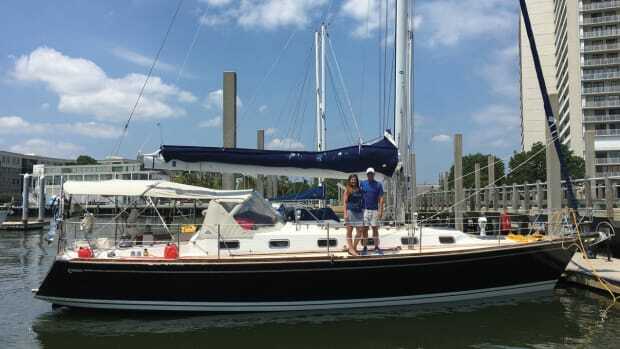 Many sailors shy away from brokers and would rather deal face-to-face with a boat’s previous owner. This may work when buying a smaller, less expensive boat, but a good broker—whether a seller or buyer’s broker—fulfills an important role in the boat-buying process. From the seller’s perspective, a broker provides a number of services, from fielding calls, organizing advertising and showings, to ensuring the boat is ready for market. However, a good seller’s broker provides benefits for the buyer as well. The go-between: A broker serves as a buffer between the parties engaged in the transaction. Boats can be very emotional things. A broker is far less likely than an owner to fly off the handle if you say the boat in question is not the most perfect thing afloat you’ve ever seen. A filter: A good broker also serves as a filter. Representing a boat that nobody in their right mind would want to own is a waste of a broker’s time. Paperwork: A good broker will help you negotiate the paperwork and formalities leading up to a successful transaction. A broker can also hold funds in escrow as the transaction is progressing. As with surveyors, a broker’s business is largely word of mouth. Some states, like Florida and California, regulate the brokerage business, but elsewhere all it takes to call yourself a boat broker is a business card. Ask around. If you don’t like what you see or hear, go elsewhere. Of course, the downside to dealing with a seller’s broker is that he or she is working for the other side. The solution, then, is to retain a buyer’s broker, someone who will look out solely for your best interests. 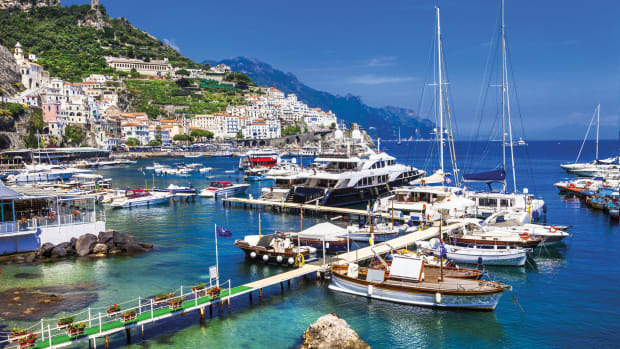 Like a good marine surveyor, a good buyer’s broker can provide additional insight into both your boat and the market in general to ensure you end up with the boat you want. Brokers talk each other’s language, often know or have heard about each other, and may be more willing to share information with one another than they would with just a buyer. 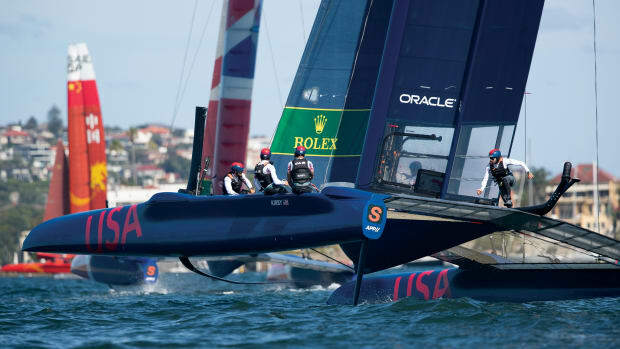 Brokers also have access to professional databases that can help determine if a boat is competitively priced. In addition, a buyer’s broker is typically an experienced sailor, and as such can provide lots of background on a type of boat or specific boat you are interested in. Best of all, a buyer’s broker doesn’t cost you anything. He or she makes money by getting half the 10 percent commission the seller’s broker would have earned if they’d sold the boat to a buyer without representation. The one catch is that a buyer’s broker is typically only interested in larger transactions. Ten percent of a $4,000 purchase price is only $400, and half of that isn’t worth a top-notch broker’s time and effort. If, however, you’re in the market for a boat costing $15,000 and up, you should have little trouble finding a good broker who can help you. These are all potential deal-breakers, in the sense that repair costs are high enough that they will make a “bargain” boat far more expensive than the asking price. Put a couple of these together, and they could easily cost more than the boat itself. Topside leaks can spring from a number of sources, including portlights, the mast partners, a bad hull-to-deck joint, and through-bolts where winches, cleats and other hardware have been installed. A continual ingress of water can lead to other problems, some of them major, including rotting deck core or bulkheads. A leaking deck will often be soft. Spongy decks result when water gets into the core of a deck laminate, causing it to rot and/or separate from the fiberglass. Even a small, soft area will require a sizeable effort to repair. If you have any reason to doubt the state of a boat’s auxiliary engine, do so. A couple of warning signs: a poorly kept engine space and no maintenance record. If the owner has been taking proper care of the engine, it will show. If you see any sign of corrosion around chainplate fittings, assume the worst. Crevice corrosion occurs when wet stainless steel is deprived of oxygen, most commonly where you can’t see it, for example where chainplates contact the hull. Even a little bit of rust may mean there is a big problem. If even a single stay or shroud has a loose strand of wire, you may need to change out all the standing rigging, especially if you plan to sail offshore. Carefully inspect all swaged fittings for corrosion and cracking. Look for galvanic corrosion on aluminum masts and booms wherever there are stainless steel parts or fasteners. Also be sure to look for any dents or kinks in spars. On a fin-keel boat any sign of rust where the keel meets the hull is a sign the keel bolts may be compromised. 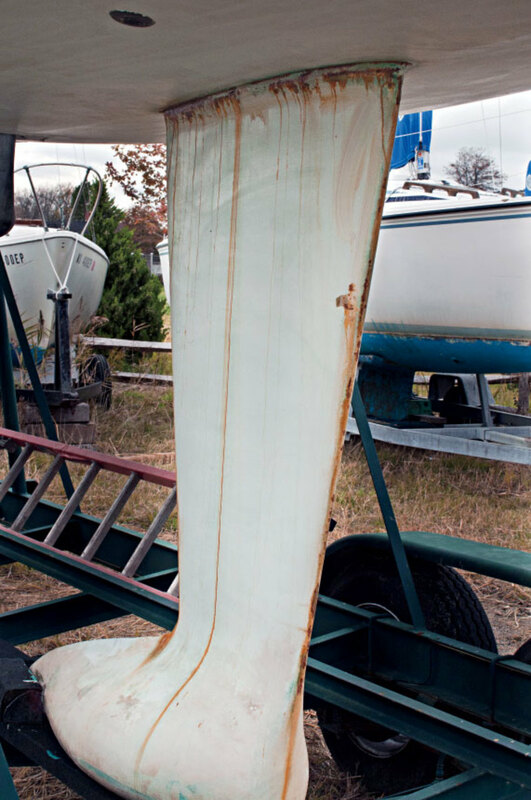 Any rust or water dripping from the rudder after the boat has been hauled means water has penetrated to the stainless steel or aluminum framework inside the rudder blade. In most cases osmotic blisters are a manageable problem, but in some cases they are not. If the boat you’re examining has only a few, the problem is likely cosmetic. However, if there are extensive blisters, the heart of the laminate may be structurally compromised—likely a major and very expensive fix. Major hull damage includes any scratches or holes that penetrate to the heart of the laminate or to the core material in a cored hull. In the latter case you are looking at a major repair job, in which all wet material must be ground out and then replaced to ensure the structural integrity of the hull. Any sign of a damaged structural member should raise a major red flag. A sailboat hull functions as an integral whole, and the fact that the basic skeleton is failing is a sign of misuse, poor maintenance, poor design or poor construction. Take a look behind the electrical panel alongside the nav station. Do you see a well-organized harness with crimped and sealed connectors, or a rat’s nest? Poor wiring is a potential fire hazard and will definitely make things harder for you when it comes time to sell if you haven’t rectified the situation. Not only is a smelly boat a boat that has likely been poorly maintained, it can also be the sign of a major repair job. The smell of raw sewage, in particular, should be a red flag. 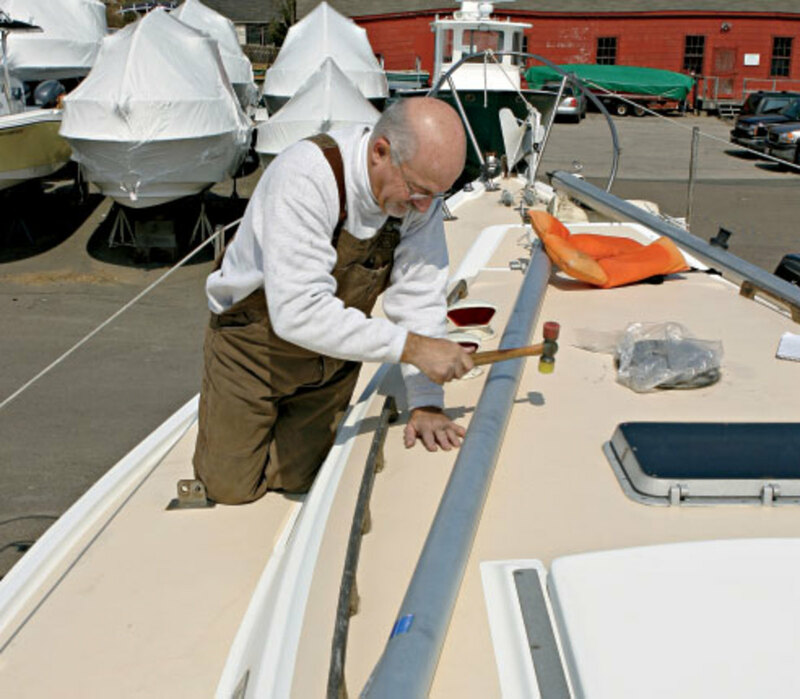 Although these problems won’t make a boat unusable, fixing them can be surprisingly expensive. Even if you decide to bear with them, they will undoubtedly make the boat that much harder to sell down the road. Make sure all through hulls are of the right type (quarter-turn values) and functioning smoothly. Check all hoses and clamps leading to the engine, through hulls and plumbing. A single incorrectly installed hose can send your boat to the bottom if it fails. Be sure to inspect these thoroughly. Take them out of their bags, run the edges and spread them out to look for holes, repairs, mildew and worn stitching. Don’t take your canvas for granted. Whether it’s a dodger, a bimini or a mainsail cover, broken zippers, corroded snaps and rotten material constitute a real problem. If you don’t believe me, just ask the guy looking to buy your boat a few years from now. Even if it isn’t structural, damage to bulkheads, the cabin sole and any woodwork will take a lot of time and/or money to repair. 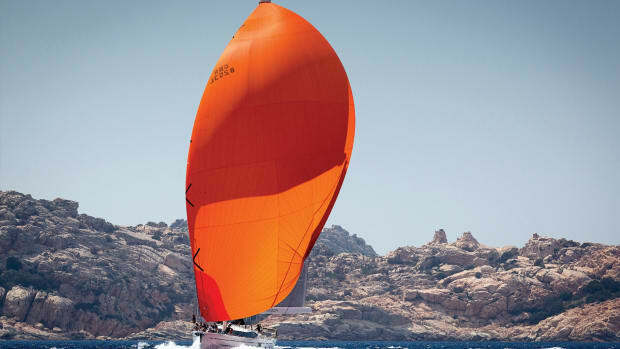 Good running rigging makes sailing safer and more enjoyable. Don’t make the mistake of thinking you can “get by” with ratty old gear. One of the great things about buying a used sailboat is all the accumulated gear that comes with it. But be sure it’s in good working condition. A pile of junk is just that. 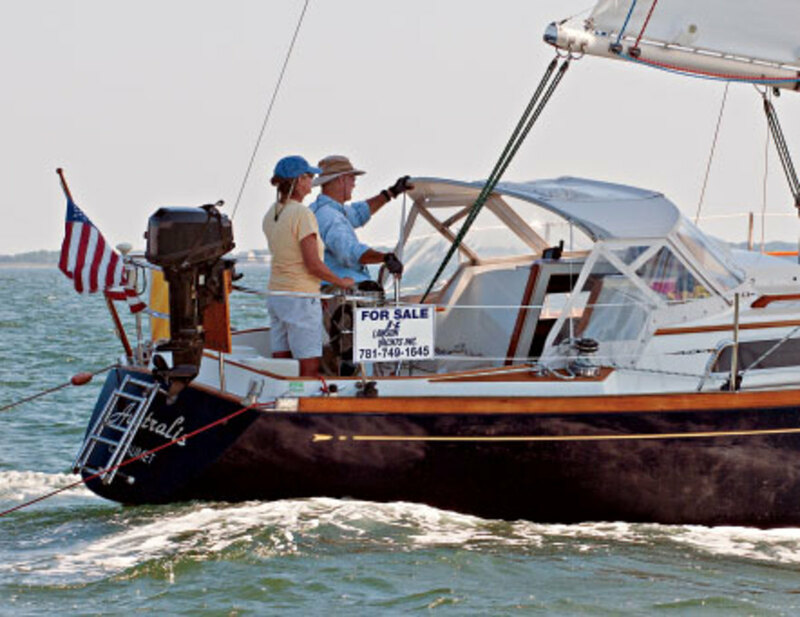 Given the thousands of used sailboats on the market, what’s the best way to home in a bargain? Rich Stearns of J/Boat Midwest and Stearns Boating LLC says a good way is to look for “oddballs,” boats that for some reason never caught on in North America. 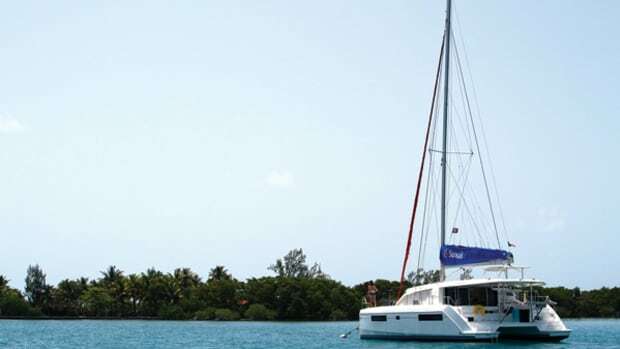 As an example, he cites the Jeanneau 3200 performance cruiser.  Robert “Bump” Wilcox of New Wave Yachts in Manchester, Massachusetts, agrees, adding the same is true of cruising boats. Boats with strong followings, like those built by Island Packet or Catalina, hold their value far better than boats that aren’t as well known. Whatever the boat, Wilcox says typical depreciation of a new boat is around 15 percent the first year and then 5 percent each year after that. He adds that one benefit to the current flat economy is that it’s a good time to pick up a used boat. “Boats are a great value right now, having gone down about 20-25 percent over the last two years,” he says.